When my son James was 15 months old, he was diagnosed with Cerebral Palsy. When he was two, we traveled from our home near Huntsville, AL to St. Louis, MO, so he could have a Selective Dorsal Rhizotomy surgery. During James’ surgery and recovery at St. Louis Children’s Hospital, we were so grateful to be able to freshen up and take short breaks to clear our heads in the Ronald McDonald Family Room. Children who have Selective Dorsal Rhizotomies need intensive physical therapy after the surgery. Thankfully, this uncommon type of therapy is offered at Children’s of Alabama in Birmingham, a two-hour drive from our home. Thanks to donations from generous friends, family, and community, we were able to cover the cost of the three- week therapy session. But we couldn’t afford a three-week hotel stay. 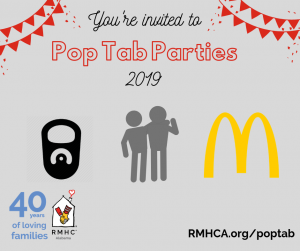 Our physical therapist at Children’s referred us to RMHC of Alabama and we were thrilled to be offered a room at the Ronald McDonald House of Birmingham during James’ therapy session. I was already so grateful when we began our first stay at the Ronald McDonald House, but I had no idea what life-changing gifts were waiting for us there. We were thrilled to be staying in such a welcoming, comfortable home. And we quickly got to know some of the families whose children were there for similar therapies. We bonded over shared challenges and experiences and our children became friends too. We soon formed a little family within the House. The kids loving playing together and the moms were able to support each other in lots of ways. We not only understood what a mom on her own with a child with different abilities needs, but also how to help her without asking for an explanation or instructions. We ate meals together, shared the clean-up, and created a routine for our kids. 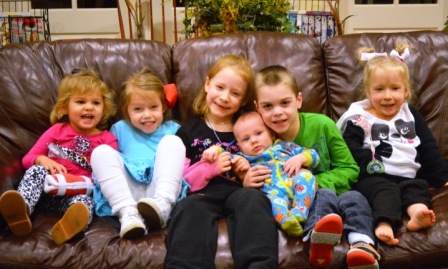 The friendships we made at the Ronald McDonald House were unlike anything we had at home. Being the mom of a child with different abilities can be isolating, but this group truly understood each other. We spent hours talking, comparing notes on doctors or different strategies to try, offering each other encouragement, or just listening. Barbara Mizzell and her daughters Maddie Kate and Abigal, and Lindsey Martin and her daughter Anniston quickly became some of our most supportive friends. These families cheered right along with me as James took his first steps and we will always have a very close bond. When James and I returned to the House for his three-week therapy session the next year, we were excited to discover that some of our friends had planned their annual session for the same time. Our friendships picked up right where we left off and the kids came to really enjoy what would otherwise be a tough time. By the end of our second session, we all agreed to try to coordinate our schedules again the following year. Over the years that we have been coming to the House in Birmingham, our friendships and our group have grown. This past year we were delighted to welcome Nichole Capps and her daughter Cate to our little group. We are all so grateful to RMHC and for the silver lining of these wonderful friendships.